Getting approval through the Fannie Mae Homepath program can be overwhelming! 1. Make sure they understand the guidelines and meet the qualifications. 2. Get help from professionals who understand the program. What Does It Mean to Buy With Fannie Mae Homepath? Purchasing your first home is a significant milestone for most families, and many are now turning to the Fannie Mae HomePath program to help them save money on this major purchase. Have you heard that buying a home through the HomePath program could be an easy way to save substantial amounts of money on your home cost? You can browse a rather extensive list of properties available on this listing, but they are all homes that are in the possession of Fannie Mae. In 2015, Fannie Mae introduced the HomeReady Mortgage initiative to replace the HomePath program that ended the previous year due to the decrease in the number of foreclosed homes available. This was great news for the housing market, as it meant that mores families were securing financing and had the steady income necessary to remain in their homes. The new name was trademarked to represent the new details it includes, but it offers many of the same advantageous features of its predecessor. It is still primarily designed to help facilitate the sale of foreclosed homes with more favorable terms to repeat and first time home buyers. In particular, the HomeReady mortgage program is able to save home buyers thousands of dollars on the initial costs of purchasing a new house. It allows for a low down payment, large seller concessions, and financing through other programs, all of which benefit the average home buyer in today’s housing market. Are you considering all of the ways your savings could add up by purchasing one of these less expensive HomePath homes? Before you dive right into a new mortgage, it’s important to understand the finer points of the program. 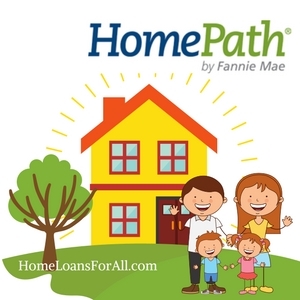 In this section, we will help you to take a closer look at what this Fannie Mae HomePath loan program offers and its major drawbacks. Prospective buyers who want to find a great deal on their next home (or their first home) may initially be drawn to HomePath homes because of their reduced cost. These properties have been obtained by Fannie Mae through a foreclosure, deed-in-lieu of foreclosure, or forfeiture. As a result, they may be resold at a substantially lower price simply to reduce the overall debt incurred by the previous homeowner. Are you lacking access to the funds necessary to obtain conventional financing on your next home purchase? One of the most impressive features of the Fannie Mae HomePath program is their low down payment requirement. Prospective buyers are only required to have a three percent down payment, an amount that is actually even lower than FHA loans. The money for your down payment can even be a gift. All of this works together to save home buyers a lot of money on the upfront costs of purchasing a new home. Perhaps your main struggle with conventional financing is that your income arrives each month from a variety of unconventional sources. Boarders and rental income don’t always factor into your gross monthly income with traditional mortgages. However, the Fannie Mae HomePath loan does allow you to use these funds during your application process. Seller Concessions Up to Six Percent! One of the largest benefits when it comes to the purchase of a home through the HomeReady program is the increased seller concessions. As a home buyer, you may be able to request that the seller pay some of the fees on your behalf. These could include your loan origination fees, inspection fees, title insurance, and other miscellaneous expenses that can rack up quickly while obtaining a new mortgage. As a part of the Fannie Mae HomeReady mortgage program, you may be eligible for seller concessions of up to six percent. This will only apply to home buyers who intend to make these HomePath homes their primary residence. Under the new program, buyers aren’t limited to purchasing a property solely for their primary residence. You may decide to purchase one of these HomePath homes as an investment to generate a passive income with rentals or simply to have a second home. Buyers who fall into this category of investors will find that the restrictions are much more flexible for those who own five to ten properties. For all buyers, it is now possible to secure financing from a HomePath home with a Federal Housing Administration (FHA) loan or a Veterans Affairs (VA) loan. These separate federal programs have additional advantages to help prospective buyers save more on the monthly cost and initial outlay of funds necessary to purchase a new home. You can receive some money back on your closing costs by attending an online education course. This is ideal particularly for first-time home buyers because it teaches the basics of purchasing and maintaining your new home. In just a few short hours, you’ll be better informed and have the opportunity to save a few thousand dollars on your closing costs. While many of the more advantageous programs designed to help home buyers offer low interest rates, you may face a higher rate through the HomeReady financing program. In comparison to other types of loans that have zero down payment or a low down payment, the interest rates on Fannie Mae HomePath loan are typically higher. Based on your location, some buyers may be subject to maximum income limits for the Fannie Mae HomePath loan. This could restrict the number of applicants who would be eligible for this type of loan. The specific details will vary as you move across the country, so the best idea is to utilize their HomeReady Income Eligibility Tool. More information on how to use this tool effectively can be found here or you can head straight to the tool. When you purchase a home with a lower down payment, most lenders will require the buyer to maintain private mortgage insurance (PMI) on the property. Depending on your financing, this additional fee can sometimes be waived once you build up enough equity to equal twenty percent. With some types of loans, including FHA financing, you will never be able to cancel these payments even when equity is built up in the property. However, you may be eligible to cancel your PMI payments with the HomeReady program once you lower the loan-to-value ratio. A foreclosed home owned by Fannie Mae HomePath program immediately presents the opportunity to save money from the original list price of the property. However, there is an inherent risk to purchasing these types of properties as the interior can often be in need of repair. With this HomePath program, the properties were often fixed up and then resold through Fannie Mae. Are you interested in securing financing through the HomeReady program? Like many of the other popular financing options, you must be considered eligible for a HomeReady loan first. 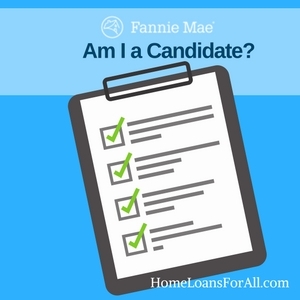 You can take a look at the criteria below to determine if you meet the Fannie Mae HomePath qualifications. The ideal borrower for the HomeReady program will be an individual or family with a low to moderate income. You may already own a home, have purchased a home in the past, or you could be a first-time home buyer. All types of prospective buyers are welcome to secure financing through this loan program. Having limited cash available for your down payment doesn’t disqualify you from receiving this loan. On the contrary, the HomeReady financing is designed specifically to help you purchase a property without a substantial cash reserve. Many properties require only a three percent down payment, but these funds could easily be gifted to you instead of straight from your savings account. In other words, there aren’t many financial requirements for borrowers to meet the Fannie Mae HomePath qualifications. Some applicants have a difficult time qualifying for traditional financing because they have income from a variety of “non-traditional” sources. For example, you may be self-employed, you could have a rental property or maybe you receive a monthly payment from a roommate or boarder. The Fannie Mae HomePath qualifications for proving income are more flexible with the HomeReady program, and this allows you to account for this source of monetary gain each month. How Do I Find out if I’m Qualified? Before you start going through the application process, you probably want to have an idea of whether you will qualify for the program. Qualifying for one of these loans is relatively simple, but you can use this checklist given to lenders from Fannie Mae to see if you meet the criteria for this type of financing. You can also attempt to get prequalified for this loan through any Fannie Mae approved lender. This could be a major financial institution in your area or a smaller mortgage broker. No matter which location you choose for your mortgage origination, a prequalification letter allows you to search for the perfect home with a little more peace of mind about your eligibility. Unfortunately, the Fannie Mae HomeReady financing isn’t available for individuals who have a bad credit score. These loans are designed for individuals and families who have more polished credit scores. You must have a credit score of at least 620 in order to qualify for the financing. However, a higher credit score (680 or higher) could mean that you will receive lower interest rates over the duration of your loan. If you are close to this threshold, you may want to consider waiting to apply for financing until you know your credit score will meet the qualifications. This could potentially save you thousands of dollars over the duration of your loan. 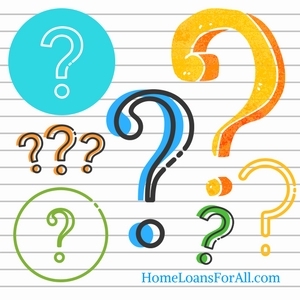 Obtaining a HomeReady loan can be rather tricky, as these are not heavily advertised products on today’s mortgage market. Any lender that is Fannie Mae-approved can issue a HomeReady loan. You must also work with a realtor in order to purchase a property through the program. Your real estate professional may be able to recommend some lenders in your local area who facilitate this type of financing. 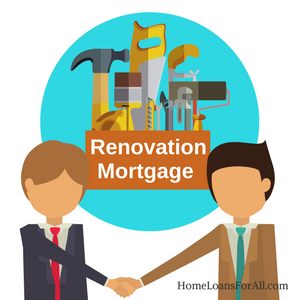 If you plan to bundle extra money into your loan for a renovation, you will need a HomeStyle Renovation loan which requires a specifically approved lender. Many prospective home buyers are drawn in by the idea of purchasing a home owned by Fannie Mae. The properties listed for sale through the HomePath program often come with a lower price than other comparable homes. AFannie Mae HomePath property could be the very thing you need to make your dreams of homeownership into a reality. All of the properties available for sale through Fannie Mae are owned directly by this agency. A “HomePath property” is the term used to apply to any home for sale by Fannie Mae, regardless of the type or location. Each property has been either foreclosed or acquired through a deed-in-lieu of foreclosure. Fannie Mae advertises the sale of these homes at a reduced cost in order to minimize the overall effect that these foreclosure (or deed-in-lieu of foreclosures) will have on the surrounding community. There are no guarantees regarding the interior condition of the home. Some may be move-in ready while others will require extensive repair work and renovations. Be prepared for all of the possible outcomes regarding quality of the property prior to a purchase through the HomePath program. Is This the Right Kind of Property for Me? Certain types of home buyers tend to be more likely to purchase a Fannie Mae property than others. The system itself tends to cater more toward first-time home buyers or those who intend to make this their primary residence. As a result, many of the properties are only available to individuals and families who will be owner-occupants for the first fifteen to twenty days that it is for sale. This is known as Fannie Mae’s First Look program. The First Look program is available to allow homeownership to become a reality for those who will be owner-occupants. It’s based on the premise that this is the ideal situation for neighborhoods and communities to continue to thrive in the face of foreclosures and similar financial hardships. These HomePath properties are ideal for someone who is looking to save money on the purchase of their home. They are extremely competitively priced to encourage a faster sale and to minimize the impact of that foreclosure on the community as a whole. Consider whether you are able to commit to performing any necessary repairs or renovations which can sometimes crop up with this type of property. Fannie Mae may make some alterations to a property in order to make it habitable or to otherwise improve the market value of the house. This does not necessarily mean that the house will have no further issues. They are quick to point out that a fresh coat of paint or new appliances does not necessarily mean the Fannie Mae HomePath property is in tip-top shape. If there are any known hazards related to the property, these are disclosed to the listing agents. It’s recommended that prospective buyers have a final home inspection done to alert them to any pressing issues concerning safety or health. Be sure to take this step seriously. Once settlement is over, Fannie Mae has no responsibility to fix anything on the property. If you fall in love with a home that does need extensive repairs, you can also finance the cost of moderate remodeling into your mortgage. This is known as their HomeStyle Renovation mortgage. You may borrow additional money at the time of closing to cover the cost of making these Fannie Mae HomePath properties more livable. The amount of money you can borrow toward the cost of the home and the renovations is equal to 95 percent for single unit primary residences. The value of the home is based on the “as completed” status of the home. Theoretically, the cost of the renovations should equal to a significant boost in the market value of the home upon completion of the project. These types of mortgages are also available on other properties, but they will require different loan-to-value ratios. You can see more information directly from Fannie Mae regarding their maximum lending amounts here. When the work is finished, you must obtain a HomeStyle Completion Certificate or a Completion Report for your Fannie Mae HomePath property. Not all lenders are qualified to offer this Fannie Mae HomeStyle Renovation mortgage. Only lenders who have two years of experience with renovation loans and those who meet the criteria set out by the lender will qualify to offer these programs. Be sure to check with any potential lenders you may be considering using first. How is Buying a Fannie Mae Home Different than Other Houses? Traditionally, you will purchase a property that is owned by the seller instead of an actual agency or company. This is the primary difference when it comes to purchasing a Fannie Mae HomePath property. All of these properties are owned by Fannie Mae itself which means that they are going to meet certain criteria. Specifically, all of the homes are going to be obtained by Fannie Mae in one of three ways: foreclosure, deed-in-lieu of foreclosure, or forfeiture. A foreclosed property is one where the original owner was unable to continue making the monthly mortgage payments. The property was seized by the bank or investor who had a major stake in the overall financing of the loan. The property is then sold in order to make up for the money that was lost on the mortgage and to help regain the value of missed payments. A deed-in-lieu of foreclosure is a little different than your standard foreclosure proceeding. In this scenario, a homeowner who can no longer make the payments may hand the deed over to the lender instead of moving into the foreclosure process. This transfer of ownership releases the owner from financial responsibility for future payments. Forfeiture also implies that you were no longer able to meet the financial obligation on the property. Instead of allowing the lender to make the first move of seizing the property through foreclosure, forfeiture involves handing the keys back over to the lender. In essence, the homeowner is the one making the first move in order to begin the process of absolving themselves of the debt associated with the property. Because these homes come under the possession of Fannie Mae in a wide variety of circumstances, there are few guarantees regarding the quality or condition of the home itself. This is why prospective buyers may want to prepare themselves for the possibility of doing at least minor repair work on a potential property. On some other types of properties, you are able to write a contingency into your purchase agreement based on the sale of your current home. Fannie Mae HomePath properties do not allow for the purchase of a home based on the sale of your existing residence. Some types of contingencies will be considered on a case-by-case basis. Do I Need a Real Estate Sales Professional to Purchase a Fannie Mae HomePath Property? It should be noted that you will be required to work with a real estate sales professional in order to purchase a Fannie Mae HomePath property. This program only allows offers to be made through the listing agent, though any realtor can submit the bids through this specific agent. This means that you will need to reach out to local real estate professionals in your area to determine what experience they have when it comes to selling Fannie Mae HomePath properties. Many people do not realize that you can submit offers lower than the list price on these Fannie Mae HomePath properties. By working closely with your real estate sales professional, you may determine that you would like to offer a lower price and go through a negotiations process. In turn, Fannie Mae could choose to accept or provide a counteroffer. It is also possible that there will be more than one offer on a particular HomePath property. Given that these homes are priced to sell and offer a great deal of potential value, you may want to expect that each property could receive competing bids. It can be a challenge to find the perfect property, particularly when you are determined to pay beneath the list price. Fannie Mae is under no obligation to accept any of the offers submitted for a particular property. 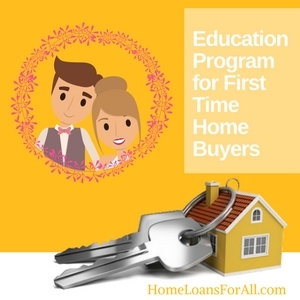 With the introduction of the new financing program available through the HomeReady process, first time home buyers receive extra benefits with the education component. This is known as their HomeReady Buyer Program, and it is optional for potential home buyers. If you are considering purchasing a Fannie Mae HomePath property, you should consider signing up for the education component. Their classes are created through a partnership with Framework, a nonprofit company developed by the Housing Partnership Network and the Minnesota Homeownership Center. It’s meant to give you a basic crash course in everything you need to know before you purchase a home. You could be eligible to receive up to three percent of the purchase price to cover your closing costs when you complete a home buyer education class. When you consider the purchase of a $200,000 home, this could equal up to $6,000 in savings. The cost to register for the course is $75 upfront, but it will be reimbursed at closing time. You must not have owned a property within the last three years, and this home must be used as your primary residence. If you meet these criteria, you can sign up for their homeownership education course. Learn about the intricacies of purchasing and maintaining your home well into the future. You can complete the nine thirty-minute sessions at your own pace online. For such a short time commitment, you can gain a significant financial incentive for the purchase of your home. The education course is not a requirement for purchasing a Fannie Mae HomePath property. However, it does provide significant value and is prospective home buyers are highly encouraged to take advantage of this program. Without completion of the course, you simply do not receive the three percent toward your closing costs. In order to qualify for this program, you must meet all of the criteria for their loan program. A HomeReady loan is only issued to first time home buyers who have not owned another property within the past three years. You must also make this your primary residence within the first sixty days following your closing date. 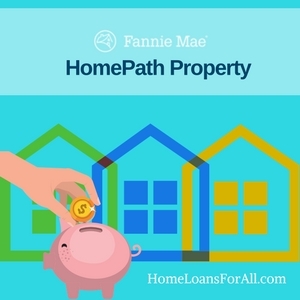 All properties purchased with a HomeReady loan must be a Fannie Mae-owned HomePath property. Perhaps you don’t meet the criteria to obtain financing through these programs or would rather expand the types of properties you are able to consider. Financing can be obtained through a variety of other sources, including renovation mortgages and low down payment mortgages. You can gain other benefits through some of these programs that will also make homeownership more accessible. The FHA 203(k) program can help you to bundle renovation funds into the cost of purchasing a new home. Using this program, you may finance up to $35,000 above and beyond the purchase price of the home to be used for more extensive renovations or cosmetic upgrades. This money may also be used to fund projects that were identified by your inspector or appraiser during the purchase process. It can only be used for single family properties. Some of the properties available through the HomePath program will require additional work before they are move-in ready. You can use the HomeStyle Renovation financing program in order to cover the cost of these necessary upgrades. These must be offered through an approved lender only. Specific details regarding the amount of money that can be financed for renovation purposes will vary based on the “as completed” appraised value of the upgrade. You may be able to perform some of the work yourself on minor projects or borrow up to fifty percent of the “as completed” appraised value of the home. Money can be used for labor, materials, paperwork fees, contingency fees, and payment reserves if the property will be uninhabitable during the construction process. Depending on the area you wanted to live in, a loan from the United States Department of Agriculture’s rural development program may be an ideal fit. There will be some intense research needed to find an area and property that qualifies for funds through the USDA program. However, it is well worth the work because home buyers can actually purchase a home with no down payment. Similar to the HomeStyle loans, you may also be able to finance funds for any necessary renovations or remodels during your closing procedure. It could be an excellent way to purchase a more affordable house in a rural area and transform it into your dream home. Loans available through the Federal Housing Administration could be a great alternative to the Fannie Mae HomePath loan program. These also feature an extremely low down payment of just 3.5 percent. Similar to the Fannie Mae financing, you can also use a gift in order to come up with this down payment amount. The major disadvantage to an FHA loan is the private mortgage insurance. You will be stuck with this monthly fee each month for the entire duration of your loan. Unlike conventional mortgages and the Fannie Mae HomePath program, you won’t have the opportunity to remove this extra monthly cost. Private mortgage insurance costs range from 0.3 percent to 1.5 percent of the total home value, so this could add up to a substantial cost over the course of your loan term. If you can’t find a HomePath property that appeals to you, you would still have the opportunity to apply for a conventional mortgage. These are available through any mortgage lender, but they do not always offer terms that are as favorable as many of the government programs. Conventional loans often require a twenty percent down payment in order to purchase a home. For some families, this would postpone their dream of owning their own home for years until they could scrape up the savings necessary. You may be able to qualify for lower interest rates with a conventional mortgage than you would with a lender’s HomeReady financing. Lower interest rates can definitely be a great way to keep more money in your pocket over a thirty-year mortgage. 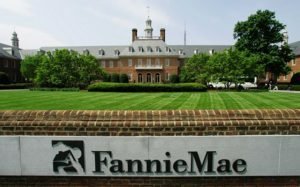 Is the Fannie Mae HomePath program still available? What does interested party contributions mean? Interested party contributions are incentives that encourage a prospective buyer to purchase a property. These could be offered by the seller of a home, a real estate agent, or another party who is interested in selling the property. In general, these seller concessions are limited to a certain amount. With a Fannie Mae HomePath property, you will have higher seller contribution limits than on a traditional sale. One of the major benefits to using a Fannie Mae HomePath loan is that the maximum seller concessions are doubled to six percent (compared to conventional loans and mortgages). This advantage only applies to buyers who will occupy the property as a primary residence. What are Fannie Mae HomePath rates? The rates for the Fannie Mae HomePath loan will vary based on your lender. Many lenders are approved by Fannie Mae to offer this type of financing for HomePath homes, but the rates will be subject to change. Rates may be based on your personal credit history, income, debt-to-income ratio, or economic indicators. What is a Fannie Mae HomePath Property? A Fannie Mae HomePath property is a home is a property owned by Fannie Mae through foreclosure, deed-in-lieu of foreclosure, or forfeiture. They are available to purchase for home buyers who want a primary residence as well as to investors looking for income properties. What does my credit score need to be for a Fannie Mae HomePath loan? Your credit score must be a 620 in order to qualify for a Fannie Mae HomePath loan. However, you will receive more favorable terms and lower interest rates if you have a credit score of 680 or higher. The specific terms you are offered will be dependent on your lender. What is a Fannie Mae HomePath renovation loan? The Fannie Mae HomePath renovation loan is known as the HomeStyle Renovation Mortgage. This program enables home buyers to purchase a house and take out additional money to cover the cost of any much-needed repairs or remodels. This allows you to make moderate repairs which may be necessary on some of the HomePath properties. The amount you can borrow is dependent upon the “as completed” value of the home based on the proposed renovations. For more information on the HomeStyle Mortgage program, you can browse Fannie Mae’s extensive guidelines here. Can you buy a Fannie Mae property with an FHA loan? Yes, you may finance a Fannie Mae property using an FHA loan. However, you may be required to make additional repairs to the property based on the requirements of the FHA loan program and their minimum standard property guidelines. You will also be subject to the requirements and criteria necessary for a loan under the FHA program. Can I negotiate the price of a HomePath property? You can negotiate the price of a HomePath property. Because you must work closely with a real estate agent throughout this process in order to purchase a HomePath property, they may be able to advise you on how to make a lower offer on this type of home. Offers must be submitted through the listing agent, but they may or may not be accepted. Fannie Mae is not obligated to accept any offer submitted on a particular HomePath property. What is the Fannie Mae First Look program? The Fannie Mae First Look program allows home buyers who will use the property as their primary residence to take the “first look” at all eligible properties. This allows neighborhoods to grow and flourish, even following a foreclosure. The First Look program typically lasts around twenty days (thirty days in Nevada) before each property will be made available to investors.